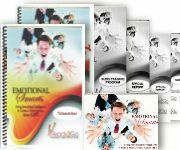 Success Tips: Emotional Smarts - Using EQ to Create a More Joyous, Richer Life from Ready2Go Marketing Solutions, Inc.
Have you ever had such intense feelings that you acted impulsively – almost out of control? Things like eating an entire chocolate cake; calling a long gone romantic interest; bumming a cigarette—although you quit years ago; or ordering those new boots off the Internet although you've committed to not using your credit card? Impulsive behavior has gotten most of us in trouble at one time or another. When emotions are intense, the impulse or urge to act washes over us like an enormous wave. The good news is that urge usually lasts for fewer than 30 minutes and once it passes, we build our urge resistance. 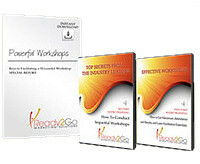 Developing emotional intelligence includes managing these intense emotionally based behaviors. Breathe deeply and become present. Experience your urge as if it is a wave – starting small and building. Visualize yourself riding the wave on a surfboard. Experience the power of riding the surf. Stay centered – breathe, smile. Stay with the wave until it begins to subside – absorbed by the ocean. Continue to take calming, yet invigorating breaths as the urge settles down. Use urge surfing as an EQ building block the next time you have an urge that does not support your intentions. And if you're brave in your imagination, "Hang 10!"